If your boss keeps threatening to give you the boot, tell him to make it the Chippewa Men's Waterproof 55161 Bay Apache Safety Toe Lace-Up Boots. The waterproof uppers of this footwear are manufactured from bay apache leather, a 5 to 5.5 oz. leather that has a ... (see full details) (see specifications) #CHP55161. If your boss keeps threatening to give you the boot, tell him to make it the Chippewa Men's Waterproof 55161 Bay Apache Safety Toe Lace-Up Boots. The waterproof uppers of this footwear are manufactured from bay apache leather, a 5 to 5.5 oz. leather that has a high level of wax and oil applied during the tanning process. This treatment makes the leather supple and comfortable for long work days, and still abrasive-resistant. The composite toe caps are non-rusting, non-corrosive, 35% lighter than steel toes, and are ASTM-approved to protect your feet from injuries due to impact and compression. The rubber outsoles of the men's boots are designed to give you ultimate traction, even on uneven terrain. The rugged soles are also ASTM electrical hazard rated to minimize shock if exposed to an open circuit up to 600 volts AC. Non-tarnishable hooks and eyelets add the style of the brown shoes. With black rubber outsoles, heavy duty nylon laces, and a steam-sealed waterproof construction, you'll want to get your feet in this Chippewa footwear as soon as possible. Not all the great features of these hard-wearing work boots are on the outside. For instance, the Dri-Lex Aerospacer lining is designed with a moisture management system that's totally breathable and quick drying to keep your feet dry. This workwear features Flexwelt insoles to provide cushioning, and they're flexible for added comfort. Even lightweight fiberglass shanks are in place to give your arches the reinforcement they need. When you're wearing the waterproof boots, you'll be comfortable, dry, and protecting. Remember, getting the boot isn't necessarily a bad thing if it happens to be these Chippewa Men's 55161 Bay Apache Safety Toe Lace-Up EH Boots. Order your pair online today from the Working Person's Store today. I am on my 3 rd pair. Best buy and light on the feet. Chippewa sure does make an enduring pair of work boots. I work in construction and am around a lot of dangerous materials and I need a boot that will protect my feet. These sure do the job. The company that I work for buys me a new pair of boots once a year. I purchased these boots last year and wear them five days a week for eight hours a day. Never have wet feet, very comfortable and they look good too. 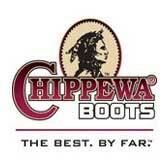 The last pair of boots that I purchased were Chippewa as well but they were insulated. But the next pair that I get will probably be the same this same boot again very nice waterproof comfortable nice-looking boot for the money. Purchase these boots almost 3 years ago. I have purchased two other boots since then and I still wear these boots five days a week at work. These boots are very comfortable waterproof and light on your feet. You cannot tell these boots are almost 3 years old. They seem to be made very well.I will probably end up buying these boots in the future. I received my work boots and just wanted you to know how pleased we were. In the past, we've had to special order these same boots from Sears. Purchasing from you has been a much more pleasant experience. Even when they were backordered, you kept in touch with us regarding our order, and we really appreciated that. We felt as if our order was important to you. I will certainly contact you when I'm ready for more work boots. Thank you! Chippewa Boots: Men's Composite Toe 55161 Waterproof Work Boots is being added to your cart.